My name is Dr. Daniel, Pediatric Dentist Birmingham AL ….thanks for coming to this website. Are you a new mom? Have you been putting off your child’s’ first visit to the dentist? 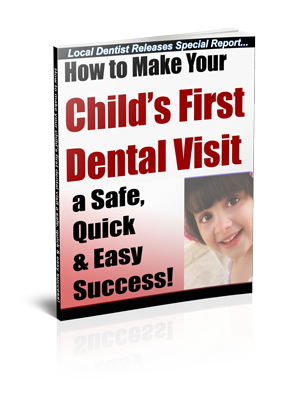 In this free report, I reveal exactly how to prepare for your child’s first dental visit and how to find the right dentist that you and your child are comfortable with. You don’t have to put this off anymore, simply complete the form below to and read this short report! Plus, discover what you need to know about your child’s baby teeth, when to go to the dentist, and how to find the right dental office for you and your child! Complete the form below for free instant access to this special report.